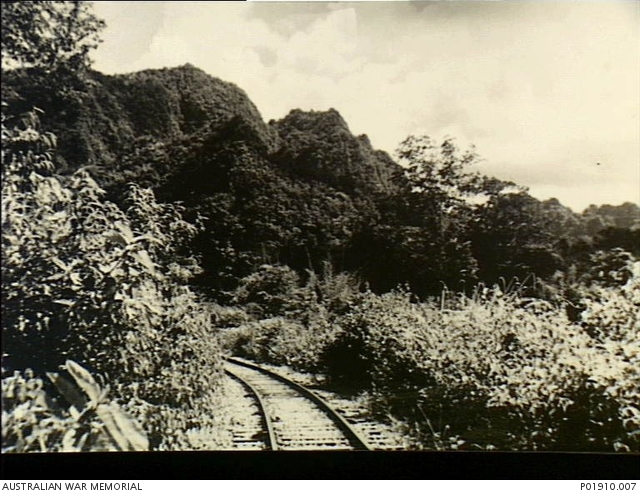 Completed in October 1943, the 415-km Thailand–Burma railway linked the rail networks of the two countries. The Japanese built the line as an alternative to the sea passage from Singapore because cargo ships, fuel, lubricants and spare engine parts were all in short supply, and the 2,000-km passage was vulnerable to Allied submarine and air attacks. The engineering of most of the line was of a high standard, although pressure to complete the line quickly resulted in inferior workmanship on the middle section. Allied bombing forced the Japanese to hide trains on spurs during daylight hours and to run them only at night. The trip from Nong Pladuk, the railway’s Thai terminus, to Moulmein took about 50 hours, and the line could handle a maximum of twelve 25-car trains per day. Bridges were built from soft wood rather than steel to facilitate rapid repairs using timber from nearby forests, and the Japanese kept a large workforce in camps along the railway to deal with bomb damage and track washouts. Without constant maintenance, the line would have quickly become unusable. 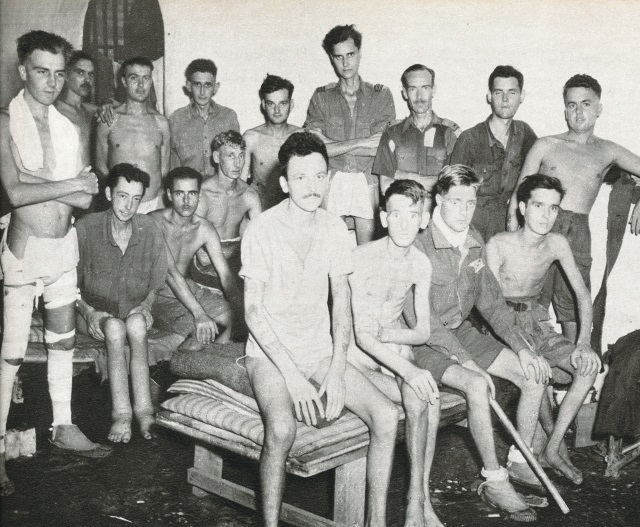 Allied prisoners of war handled the initial construction, but by 1943 the Japanese had recruited large numbers of Asian labourers to help maintain the line. More than 60,000 POWs worked on the railway and nearly 12,000 perished, many of them along the middle section of the line where teams were under heavy pressure to work quickly. Japanese records indicate that more than 182,000 Asian labourers worked on the railway. A post-war Allied calculation suggests a figure of 270,000, with more than 70,000 deaths – a mortality rate of 27 per cent. 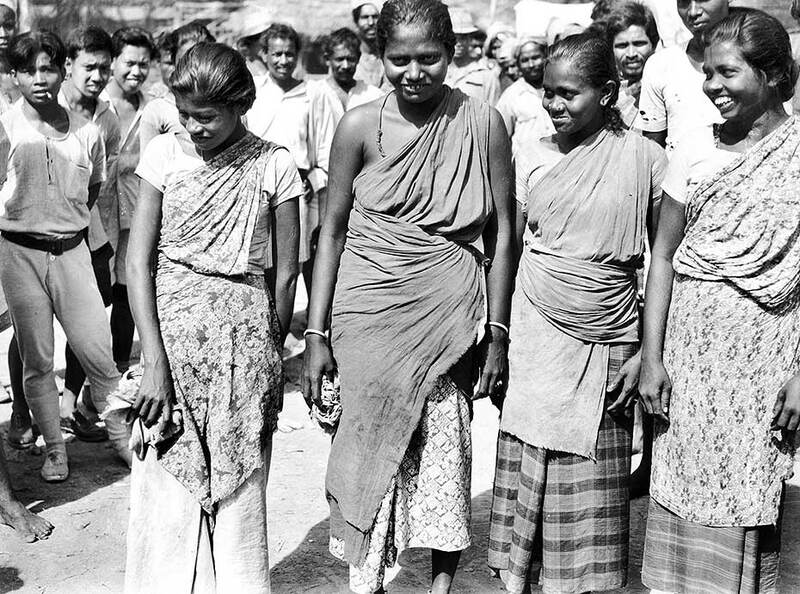 Around 75,000 Asian labourers probably remained along the line when the war ended, but many left when the camp guards withdrew, particularly on the Burmese side. 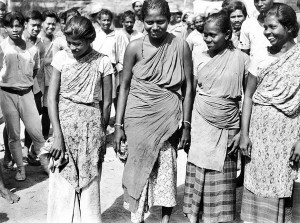 Around 35,000 labourers from Malaya and Java stayed on in the camps, and they depended on trains to deliver food, medicine and other supplies. On 17 August 1945, a group of Allied prisoners of war held near the Thai town of Kanchanaburi spent a few hours exercising on a nearby airfield. Among them was a Dutch officer, K.A. Warmenhoven, who had worked for a railway company in Java before the war. A football match was underway between a Thai team and a group of Javanese railway personnel, some of whom had worked for the same company as Warmenhoven. They told him they intended to strike to show solidarity with the Allied cause, and perhaps speed up their return home. 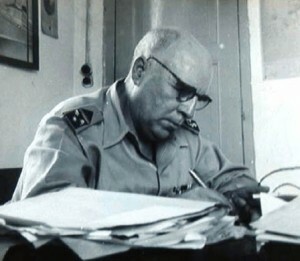 Recognizing that any such action would be disastrous for personnel along the line, Warmenhoven discussed the situation with senior Allied officers and then told the Javanese he intended to take charge of the railroad, and would personally guarantee their welfare and eventual repatriation if they kept the trains operating. Obtaining a pass to leave the POW camp, Warmenhoven went to the main railway office, where the Japanese provided him with a desk and a comprehensive briefing on railway operations. He remained in charge of the railway for more than a year, during which time he oversaw operations and calculated the replacement value of equipment. POW labourers soon moved into transit camps, although some of them remained in Thailand for many months awaiting their passage home. Asian labourers were withdrawn gradually to avoid overwhelming the transit camps; they were gone by early 1946, leaving maintenance of the line in the hands of surrendered Japanese personnel. All foreign workers had left Burma by mid-1946 and track began to be removed on the Burmese side of the line. Thailand agreed to purchase the Thai side of the railway, with payments apportioned to Burma, Malaya and the Netherlands Indies based on the value of supplies and equipment the Japanese had appropriated. 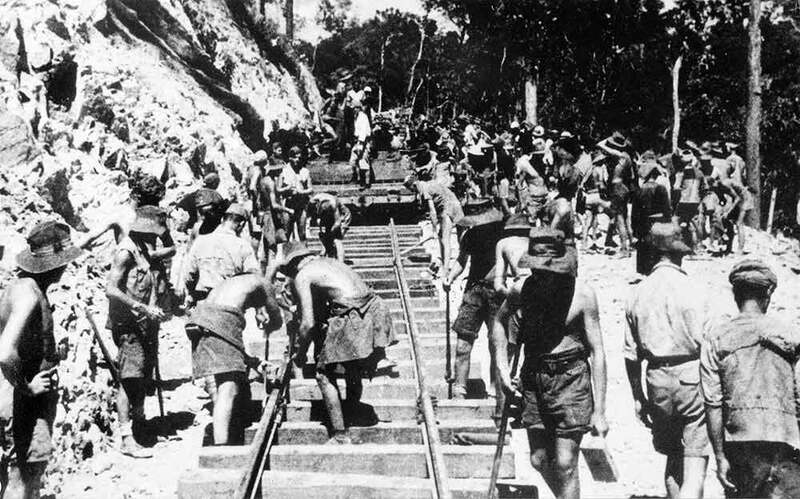 Evacuation of the remaining Japanese personnel took place in October 1947, and the Thai government took charge of the railway in the same month.